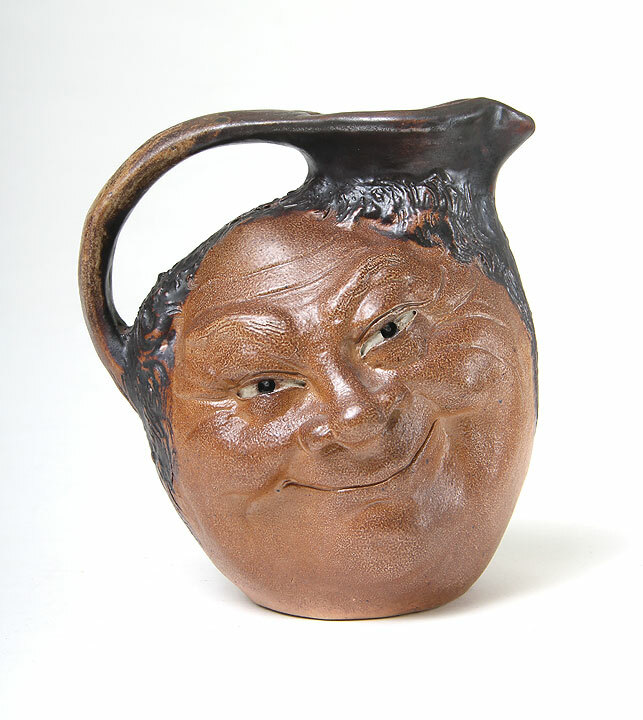 Martin Brothers face jugs come in three sizes, with this example being the largest at 9" tall. 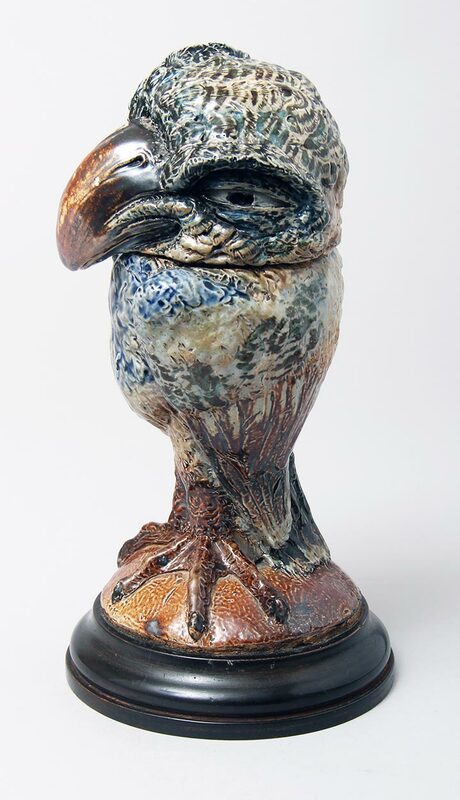 It's particularly fine, with a nice bright glaze and great detail. 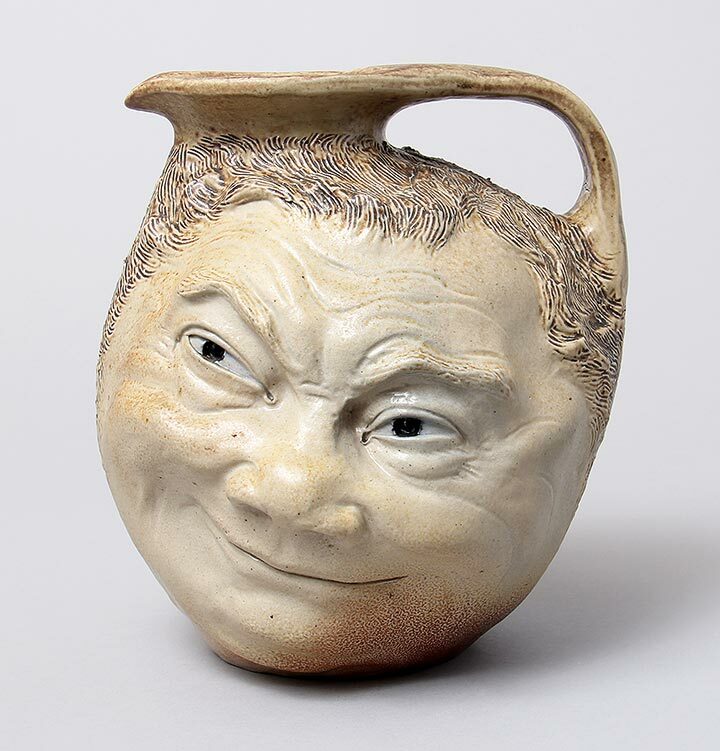 There are two faces, one smiling and the other contemplative. 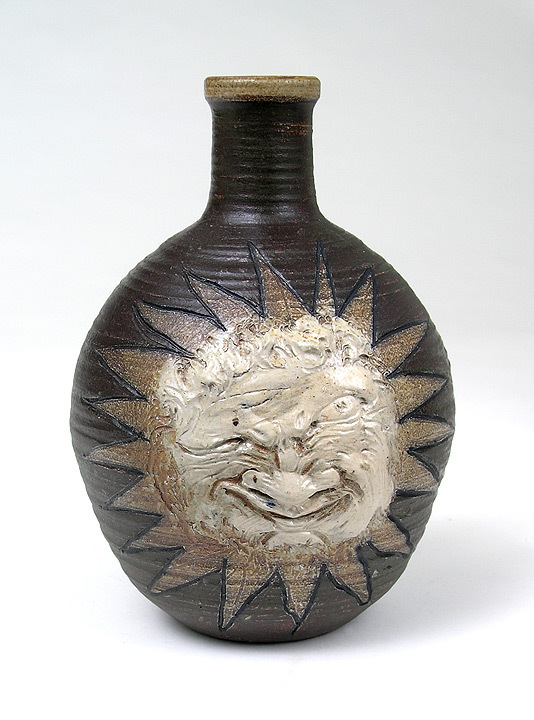 Good Martin Brothers ceramics are difficult to find, so don't wait too long, because I suspect it will be gone soon. 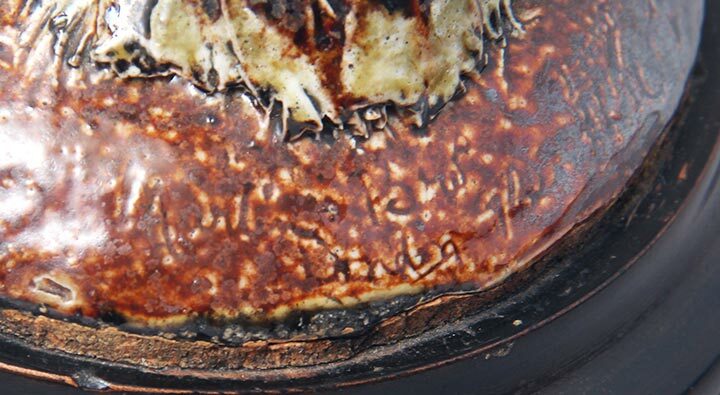 Beautiful signature on the underside. Mint condition. No restoration. 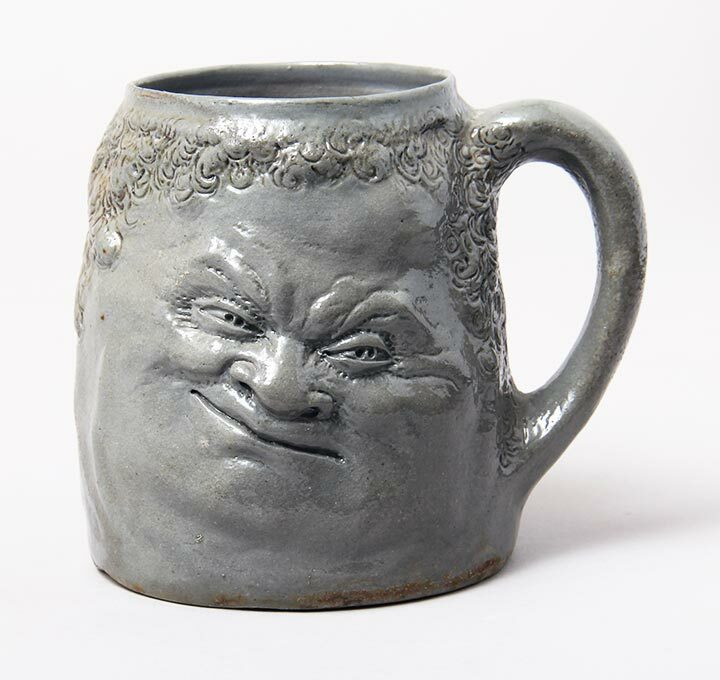 Martin Brothers grotesque objects never cease to tickle me, including this fabulous two-faced mug with incredible character faces. 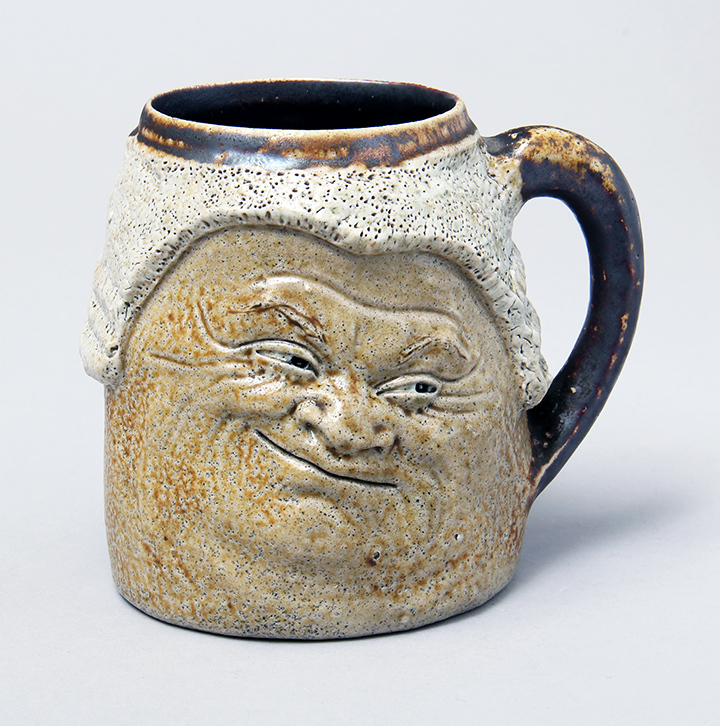 It's 4½" tall and delightful. Signed. Excellent condition with some roughness around the bottom rim. You either love or hate Martinware. I've never met anyone on the fence. Of course you know I fall on the side of love. To think that these amazing creatures were created more than a century ago is astonishing. This magnificent bird has what people are looking for - personality. 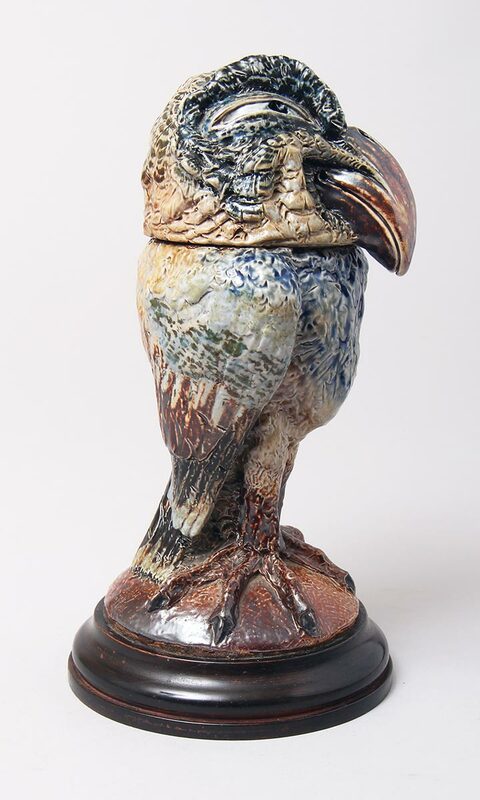 With a big beak and a cocked head, he's got it and more, including a beautiful, colorful glaze and the original wooden stand. Mint, unrestored condition. 9¼" tall. Signed on both the head and foot. 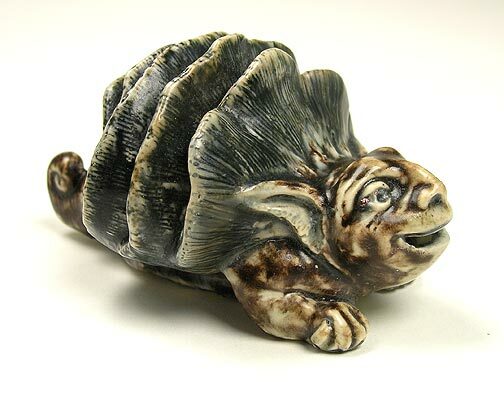 Small but incredibly whimsical and amusing creature. Signed. 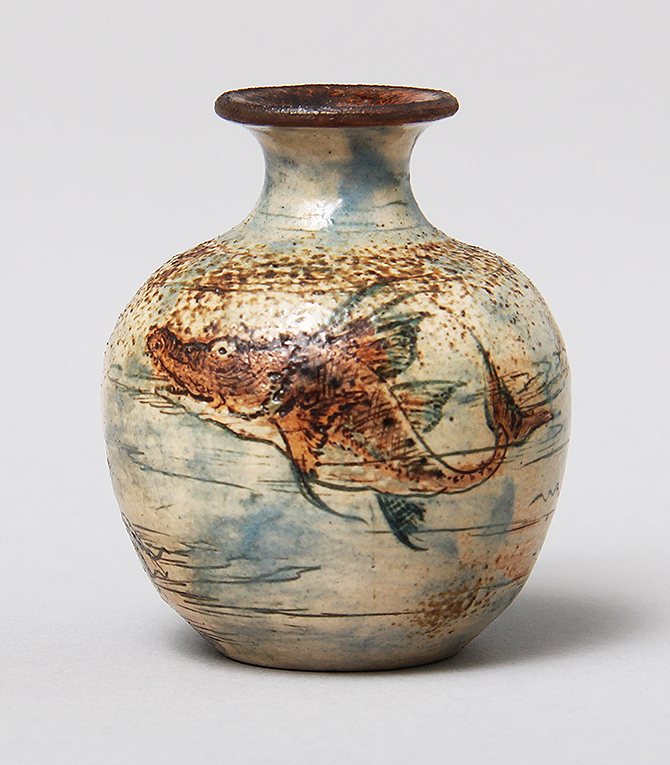 4¾ " long x 2½" tall. Restoration to several fins, upper and lower mouth and one foot. 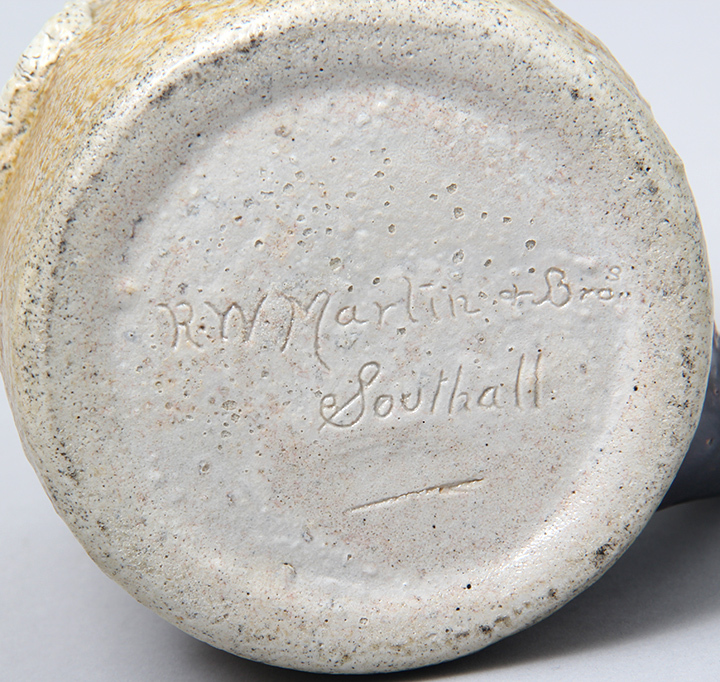 Good Martin Brothers stoneware has been difficult to get in the last few years, with strong competition for what little is available. 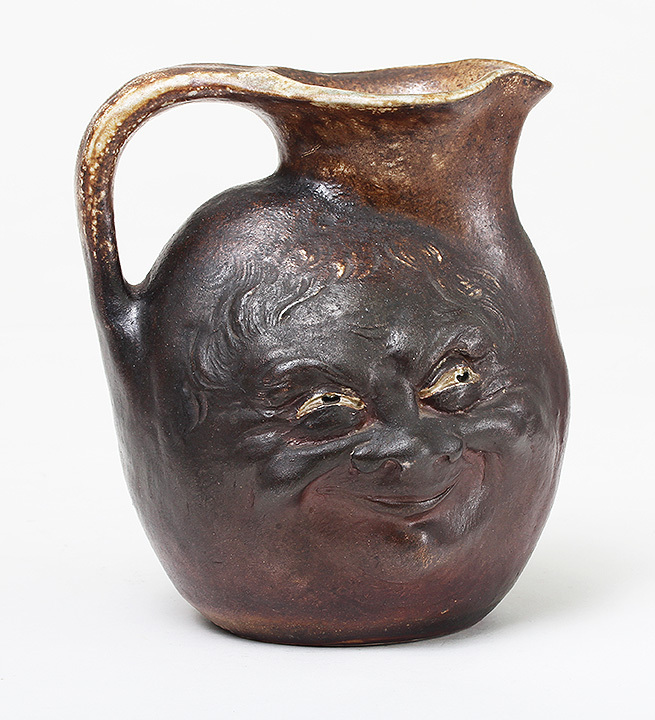 I'm very pleased to be able to offer this very fine diminutive double face jug. 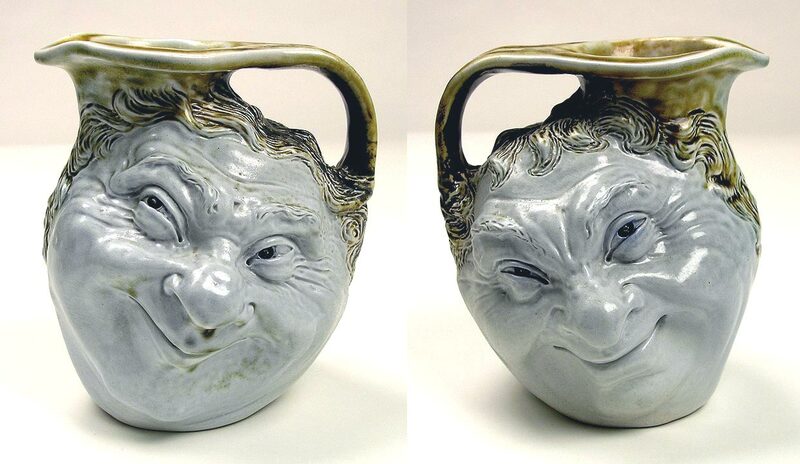 It's got two great faces. No damage and no restoration. Signed. 4¾" tall. Nothing makes me smile more than Martin Brothers character items. 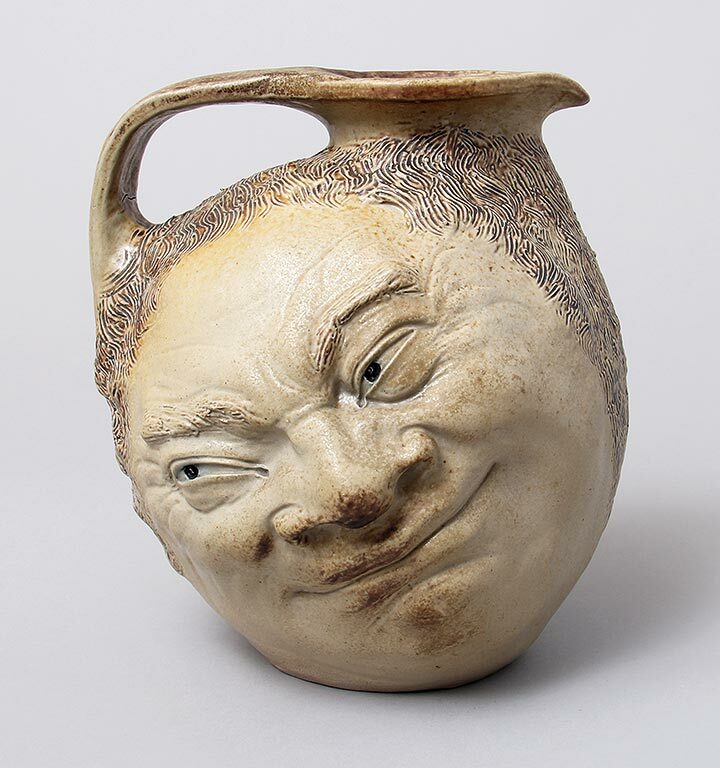 This wonderful example is quite rare with double-face barristers, both with great expressions. 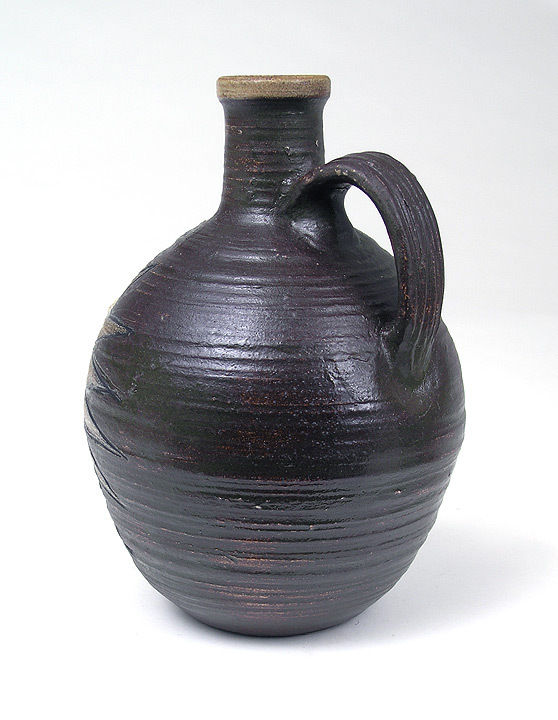 It measures 5" tall x 6" diameter across the handle. Superb condition, with one minute chip on the inside of the rim and a very small burst bubble on one chin. Don't wait too long on this item. 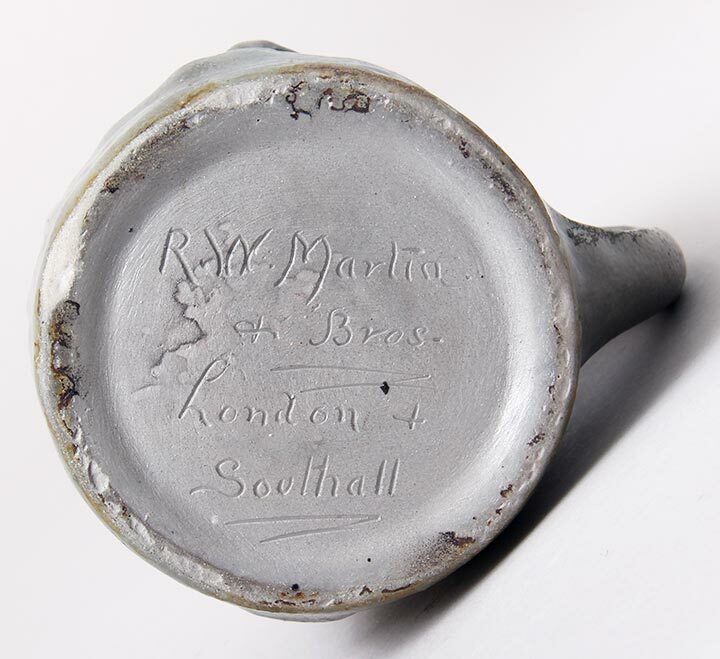 Martin Brothers items sell quickly, especially when they're this good. 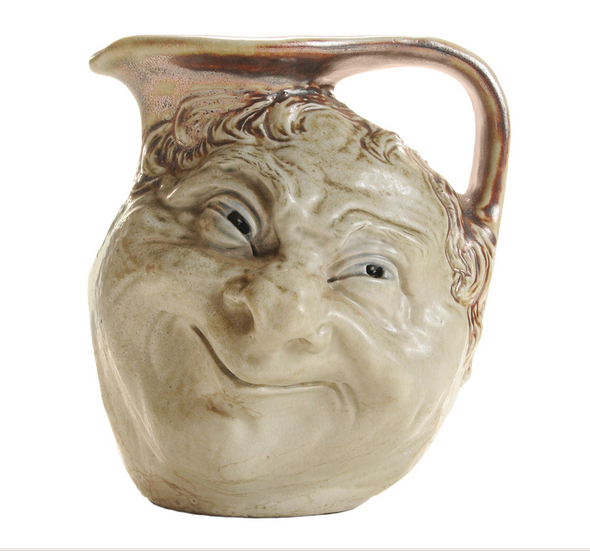 What a great face on this fabulous jug. High glaze on the face, with a matte to semigloss finish on the rest. Really good size at 9". 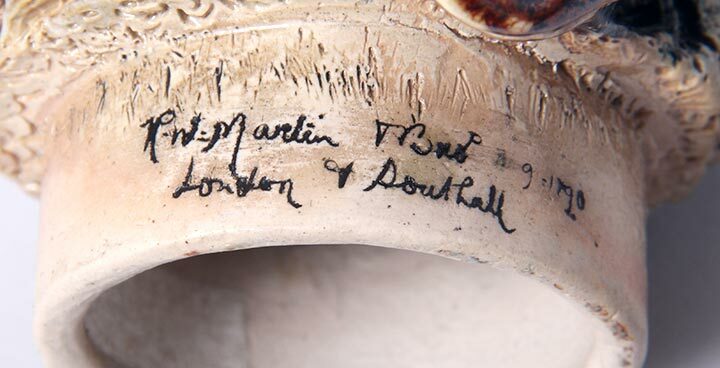 Signed "Martin London". Mint original condition. I just love the Martin Brothers. 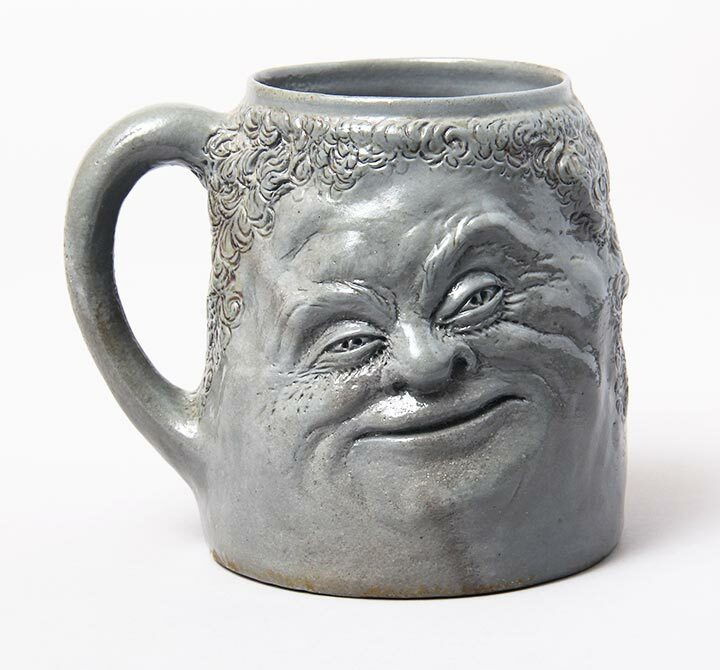 The more grotesque the item, the more I like it. 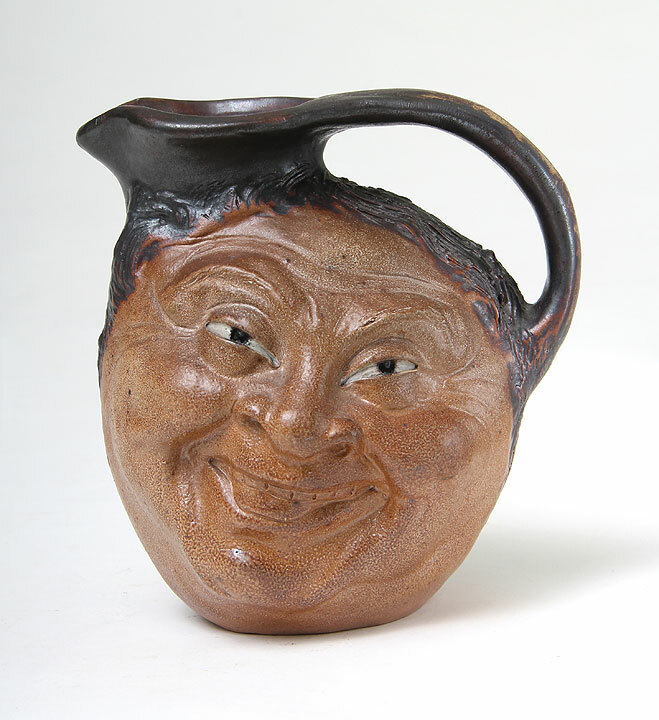 This face jug is wonderful, with a different face on each side -- one smiling with teeth showing and the other smiling with no teeth. 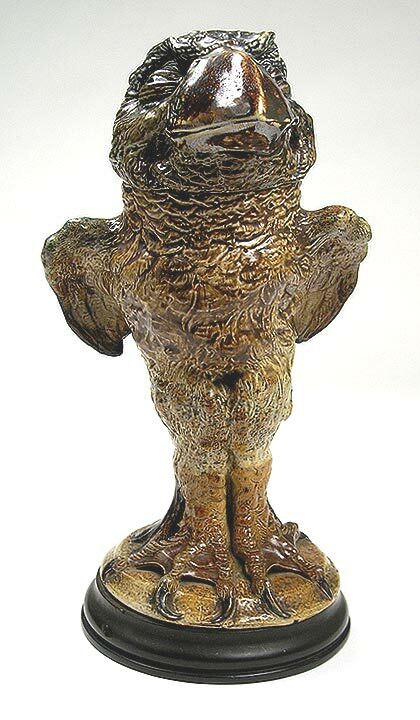 Fully signed and in mint original condition with a very nice glaze. 6" tall. 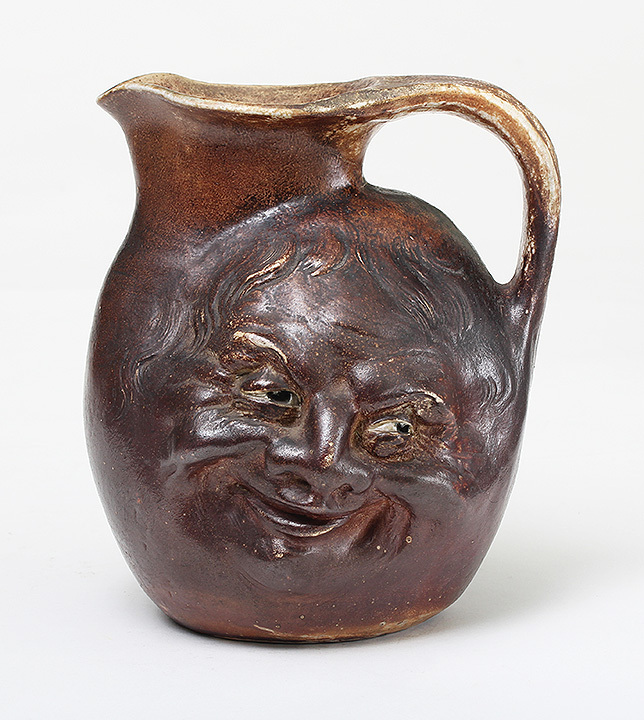 Another wonderful face jug by the Martin Bros. -- this one with two different smile expressions on the two sides. 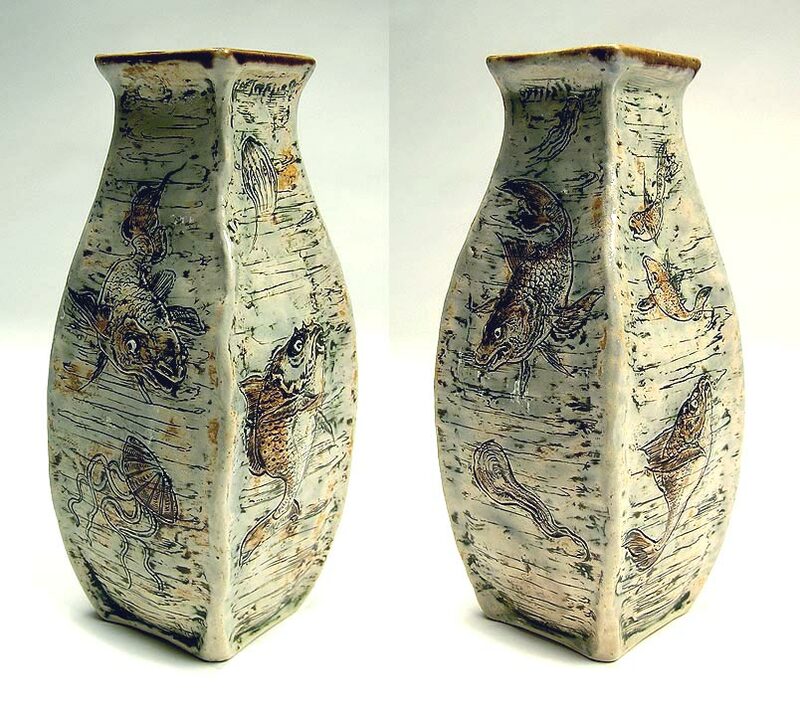 It's darker than usual, probably because of over-firing in the kiln, but it's still great and priced more reasonably as a result. 6¾" tall. Mint condition. 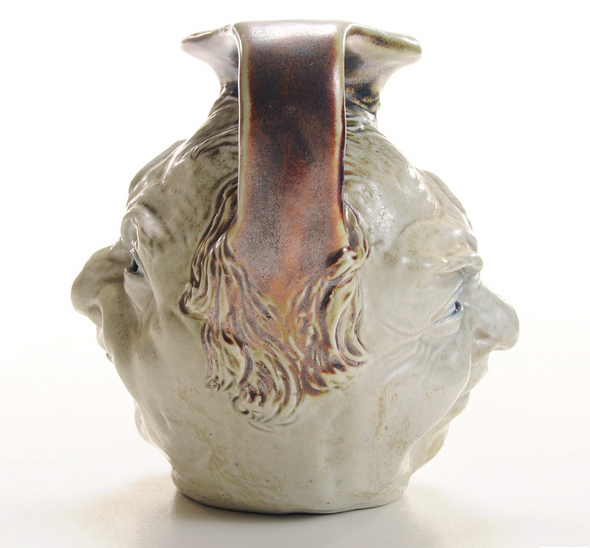 Martin Brothers grotesque sea creature vases are wonderful and fanciful. 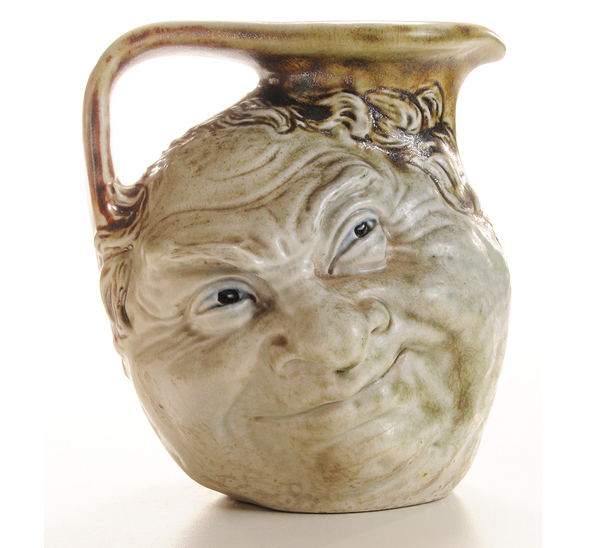 This example is the single best Martin Brothers miniature vase I've ever had. It's only 2¼" tall, but the detail is superb. It's fully decorated all around with several creatures. Signed and dated 1-1899. Mint condition. 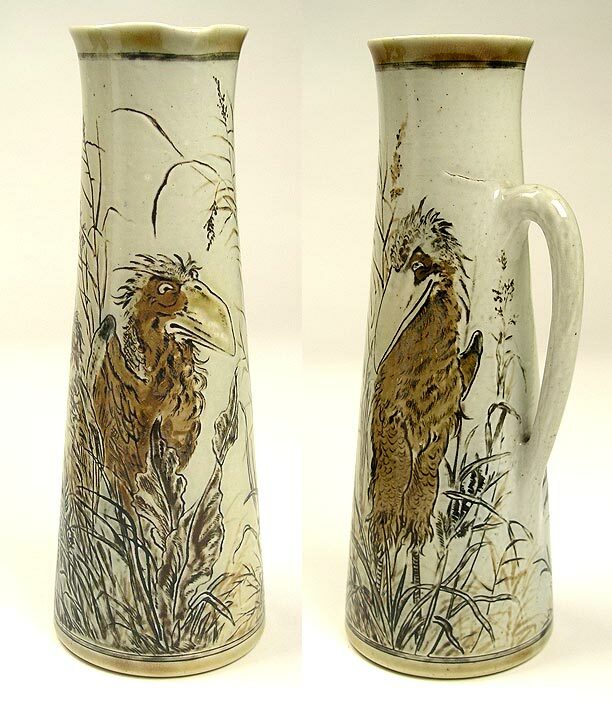 Three wonderful birds adorn this fine pitcher. 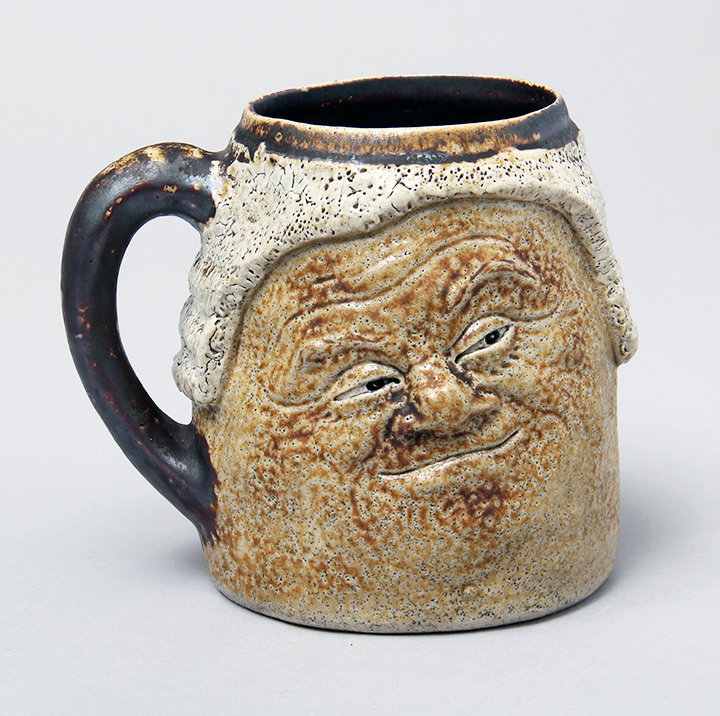 Beautiful glaze. Signed and dated "2-1895". 9½" tall. Mint condition except for 2" original firing flaw above the handle (visible in the photo of the other side). Large bird with great long beak and head cocked to one side. 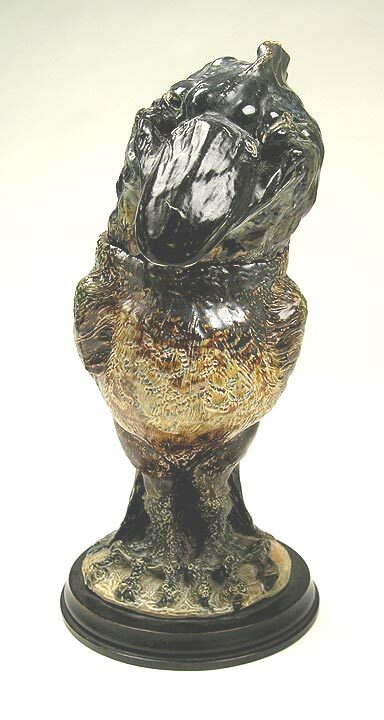 Big size at 12½" tall including the base. Fair restoration to the head which is visible in the last photo. I suggest that it can be done better. 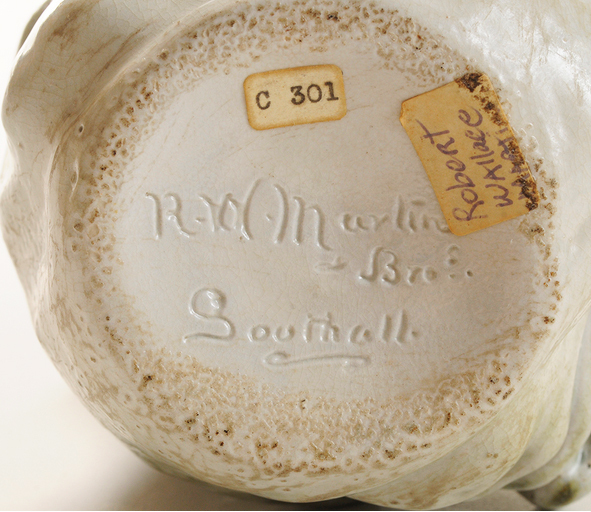 Signed "R.W. Martin & Bro. London & Southall", undated. No restoration to body. 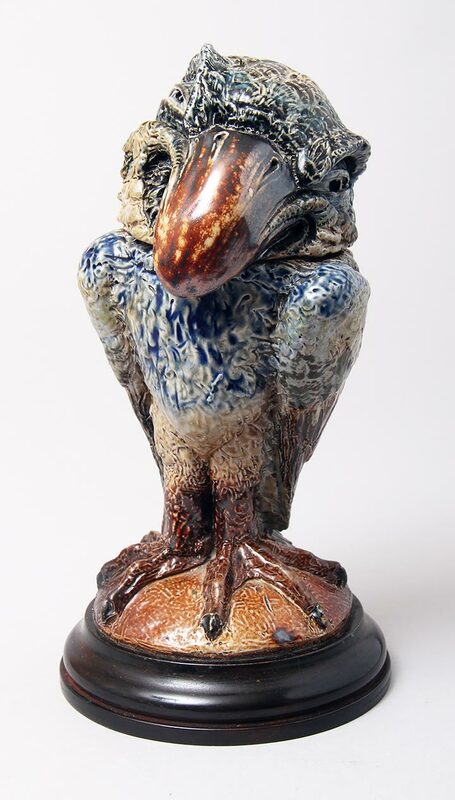 Large bird with great expression. 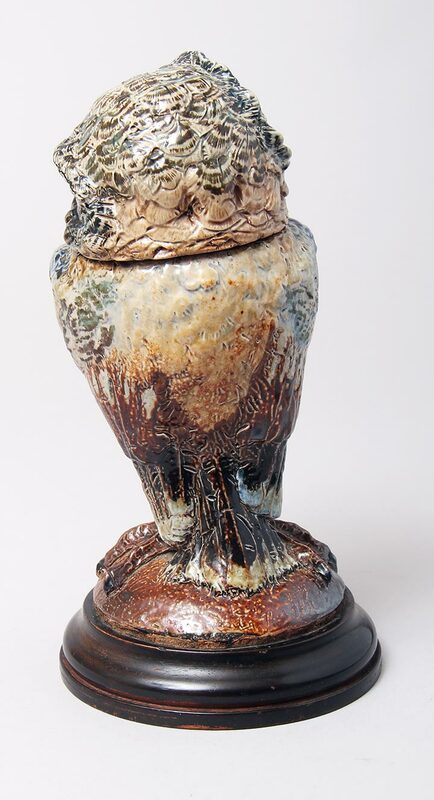 Big size at 13½" tall including the base. Restoration to one wing. Signed "Martin Bro. 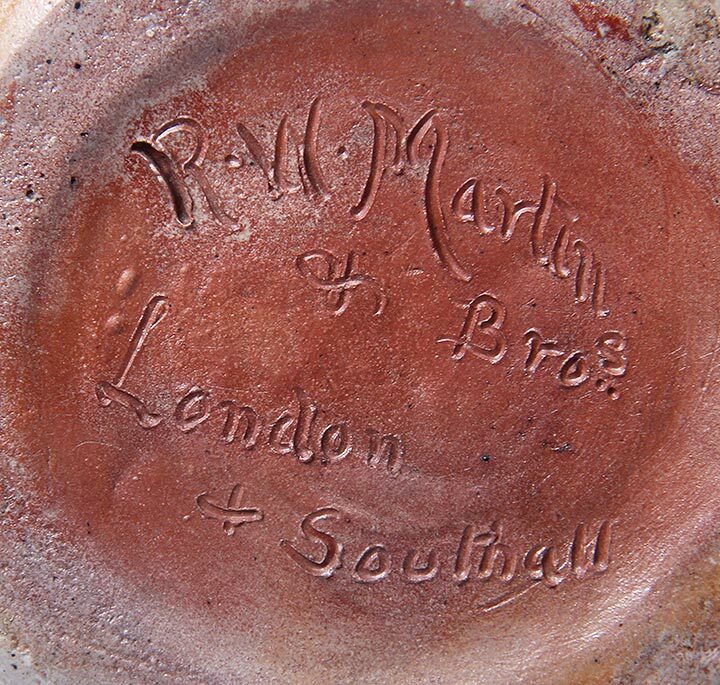 London & Southall, 1-1894" on the base. 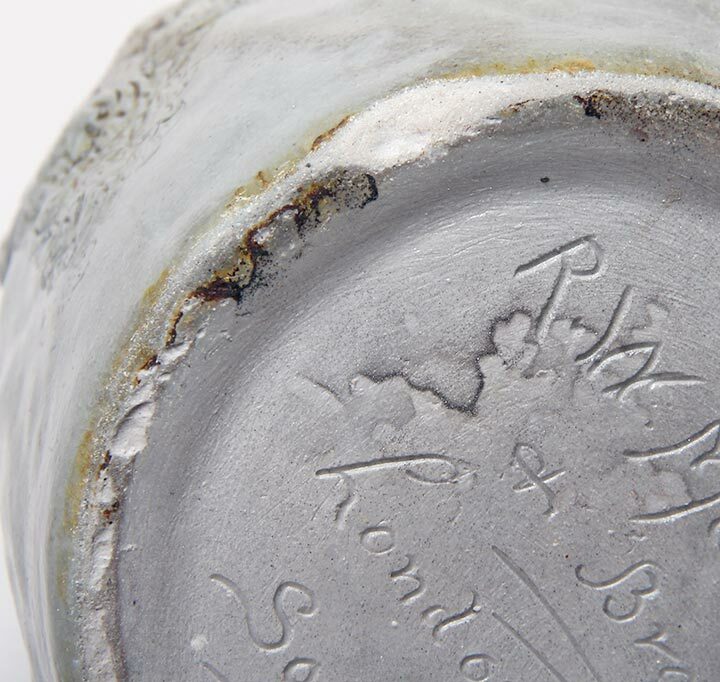 Same signature on the head, but dated "10-1895". 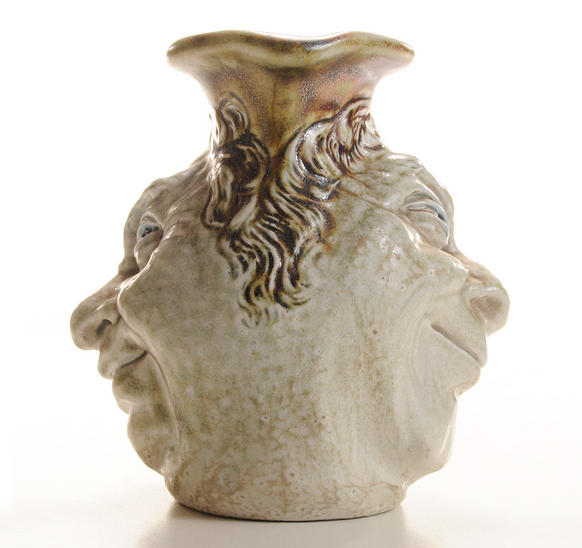 Wonderful grotesque sea creature vase. May 1893. 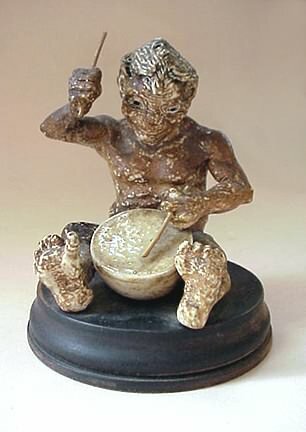 7½" tall. Perfect, unrestored condition. 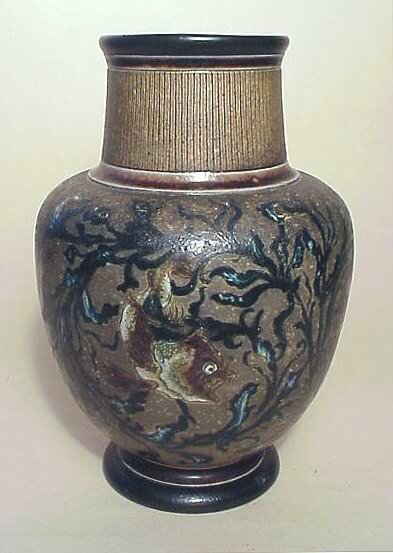 Grotesque vase with great sea creatures. 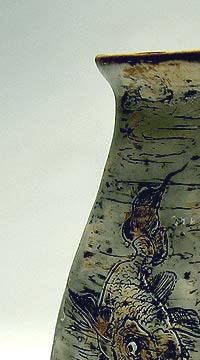 Raised incised decoration. 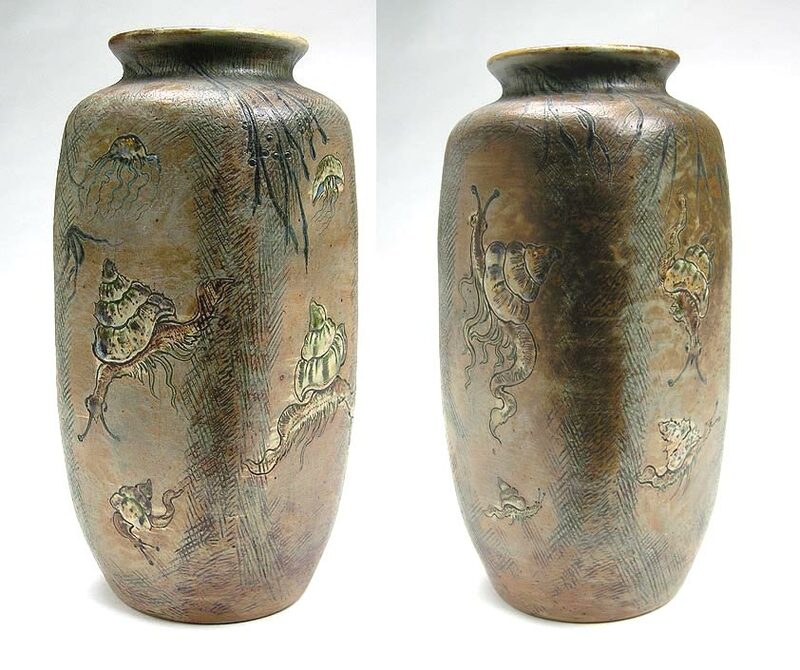 Great shape on this 4-sided stoneware vase. Signed and dated 2-1903. 9½" tall. Mint condition. 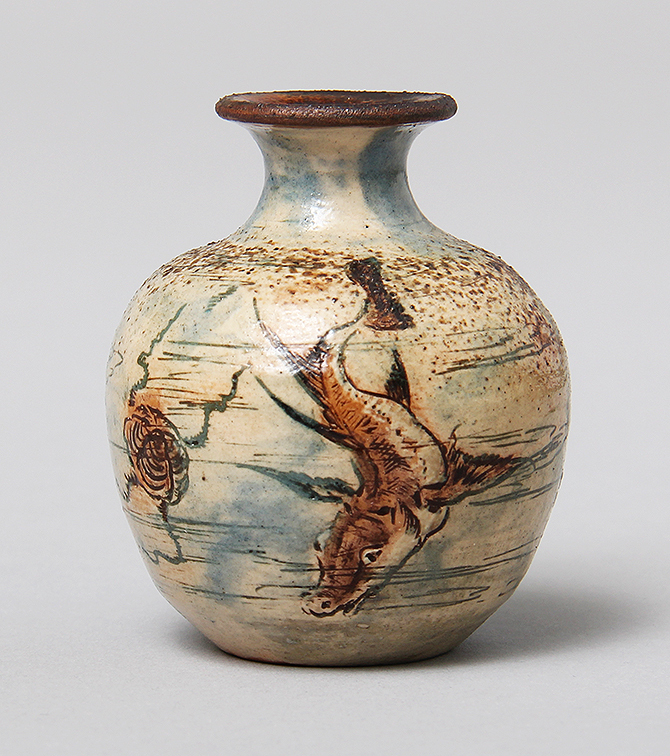 Wonderful and whimsical snails and jellyfish on this 4-sided stoneware vase. Signed and dated 9-1903. 9" tall. Mint condition.